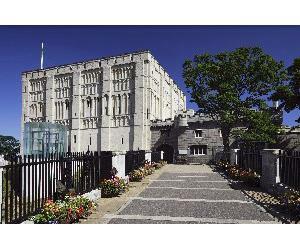 One of the city’s most famous landmarks, Norwich Castle was built by the Normans as a Royal Palace 900 years ago. Now a museum and art gallery, it is home to some of the most outstanding collections of fine art, archaeology and natural history. Norwich Castle is packed with treasures to inspire and intrigue visitors of all ages. In the magnificent Norman keep, models, computers, sound and video bring history vividly to life. Adult £6.80, Concs £5.80, Young Person (4 - 16) £4.90, Special Exhibitions only: Adult £3.50, Concs £3.00, Young Person (4 - 16) £2.60, Museums Pass holders free of charge. Pop in for a Pound 12 - 1pm during school term time, and for the last hour of the day, every day.